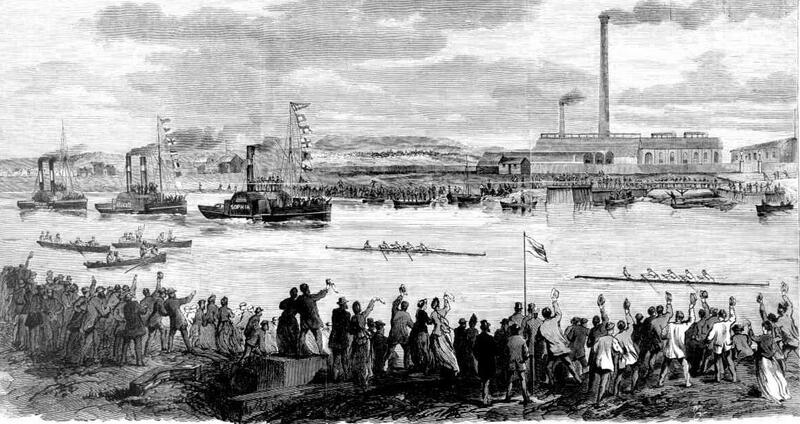 The first boat race between Sydney University BC and Melbourne University BC on the Yarra in 1870. The first intervarsity boat race in the world was between Oxford and Cambridge on 10 June 1829. Next, across the Atlantic Ocean, crews from Harvard and Yale faced each other on August 3, 1852. And it was in the Antipodes that Sydney and Melbourne universities met on the Yarra River in Melbourne on December 23, 1870. The first races between the two Australian universities were in four-oared string-test gigs. The record books show the Melbourne varsity crew won that day in a time of 31 minutes 4 seconds in the race down the Yarra, the distance being 3 ½ miles (5.6 km). Seated in the two seat for the vanquished Sydney University crew in 1870 was Edmund Barton, who in 1901 became Australia’s first prime minister. The second race between the two universities in 1871 was held on the Parramatta River in Sydney and also resulted in a Melbourne win by three boat lengths in a time of 27 minutes and 55 seconds. No more races followed until 2010, possibly due to the cost of sending crews between the colonies, as the states were called. Also, in 1888, the various universities around Australia contested in multiple intervarsity races so it was probably thought there was no need for such a specific race between Sydney and Melbourne universities. This year saw the introduction of an additional shorter 1 km race to Darling Harbour between the men and women crews from the colleges of St Andrews of Sydney and Ormond of Melbourne. The results were a win to the Sydney men and Melbourne women. The main results of Sydney and Melbourne boat clubs winning their races were covered earlier on HTBS. Both Sydney University crews paid one last tribute to Rebecca Wilson, an Australian sports journalist, radio and television broadcaster and personality, who died three weeks ago, aged 54. Wilson was a strong personal supporter of many of the rowers. What may be of interest to HTBS readers is some historical trivia. This year saw Sydney University coxswain Will Raven steering the crew for a record sixth time with five wins. Searching the Oxford-Cambridge Boat Race records one finds for Oxford that C. R. W. Tottenham had coxed five times, from 1864 to1868, with five wins. For Cambridge, G. L. Davis coxed the crews for five years, from 1875 to 1877, with four wins, including the famous Dead Heat race of 1877. 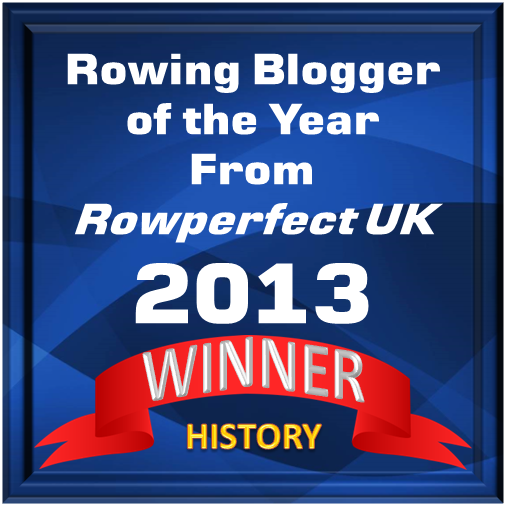 Also from Sydney University was Alexander ‘Sasha’ Belonogoff, rowing in his sixth boat race, matching the six boat races rowed by Boris Rankov of Oxford. Belonogoff has won five of his six races, whereas Rankov has won six times, between 1978 and 1983. The ‘Rankov Rule’ was later introduced in the Oxford-Cambridge Boat Race, stating that oarsmen were not allowed to compete in the race more than four times as an undergraduate and not more than four times as a graduate. 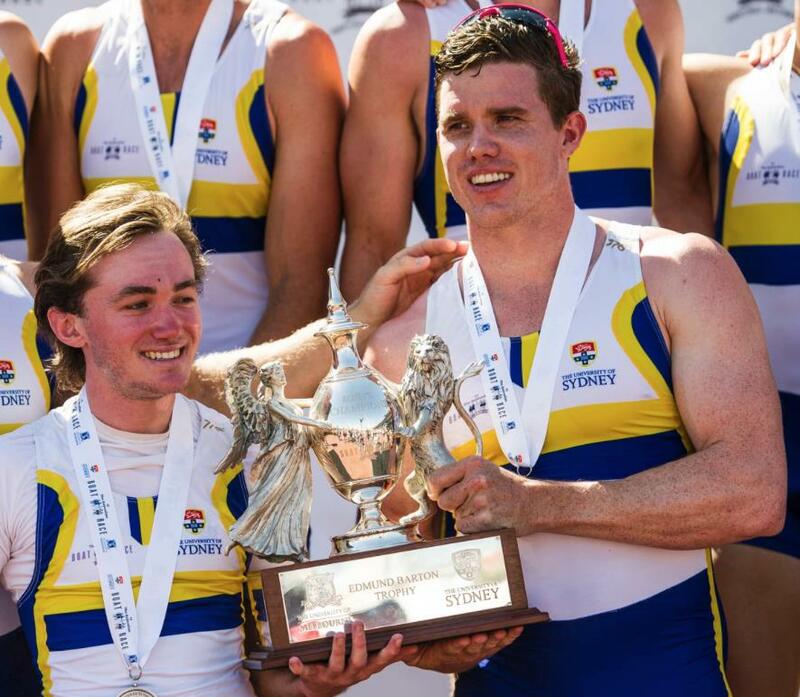 Will Raven and Sasha Belonogoff holding the winning Edmund Barton Trophy. So far there is no such rule for the Australian Boat Race. Maybe in 2017 we will see Sasha win his sixth race after his seventh race.